In our efforts to bring awareness and education to our community about child abuse prevention our focus for Child Abuse Prevention Month was on the Period of Purple Crying - a frustrating period of increased crying all infants experience in the first few months of life. Our aim was to bring attention to and educate parents and the community about this sensitive time and to the dangers of reacting in frustration with a baby’s crying, such as shaking or harming them in some other way. 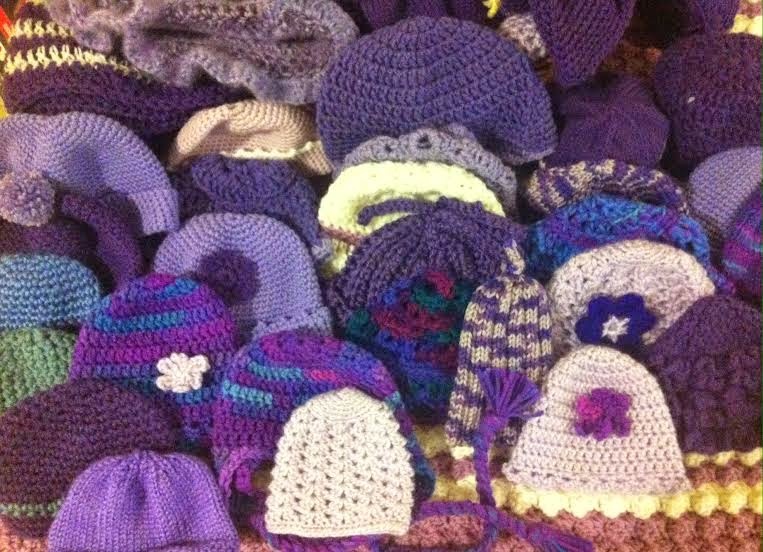 We invited knitters and crocheters throughout the county to create purple caps and blankets for newborn babies of Amador County. Yarn and information about the Period of Purple Crying were delivered to locations in all parts of the county. Thank you to all of the knitters and crocheters of Amador County that participated in our outreach efforts. We have received hundreds of caps and blankets that will now be distributed to parents of newborns in partnership with Sutter Amador Hospital and the Amador County Health Department’s home visiting program. And while Child Abuse Prevention month is once a year, we are gladly accepting hats and blankets all year long. Along with the caps families will receive a DVD and materials to help parents and caretakers of babies understand what is normal, what to expect when babies cry, and how to keep babies safe. Infant crying increases in newborns at about 2 weeks, peaking at 2‐3 months, and usually declines by 5 months. However some babies cry as long as 5 hours a day, while others cry less than 20 minutes a day. This is normal. This early crying time is what we now call the Period of Purple Crying. The materials shared take a positive approach encouraging parents and caregivers to improve their relationship with their baby while bringing awareness of normal infant development, specifically, about crying in infants. As a community member how can you help? Touch bases with new parents so that they have someone to talk to or to care for their child so they can take a short break. Reassure them that they are not doing anything wrong in not being able to stop their baby from crying. Share this information with others, especially anyone caring for an infant: grandparents, neighbors, boyfriends, relatives, and temporary caregivers. Little City Studio in Amador City, the Camanche Lake Community Center, Clark’s Corner Café in Ione, The Hole Affair and Sierra Wind in Jackson, The Sewing Cottage in Martell, Joy’s Yarn Shop and the Upcountry Community Center in Pine Grove, Possibili-Teas in Pioneer, Plymouth City Hall, the River Pines Store, the Sutter Creek Gallery, and The Country Store in Volcano. The Amador Child Abuse Prevention Council believes that every child deserves to live a healthy and safe life free from violence. Child Abuse Prevention Month encourages all members of our community to play an active role in recognizing and preventing all forms of child abuse and neglect. The goals of the Council are to make our community members aware of what child abuse is, how to recognize it, how to report it, and what resources are available in our county to support families and children. Child abuse and neglect are preventable when all community members, including parents, families, care providers, neighbors, school staff, and governmental agencies work together. It’s our job as adults to keep children safe. For more information about any of these activities, or to learn more about the Council, contact us at 223-5921 or email us atinfo@amadorcapc.org. You can also find us at www.amadorcapc.org. 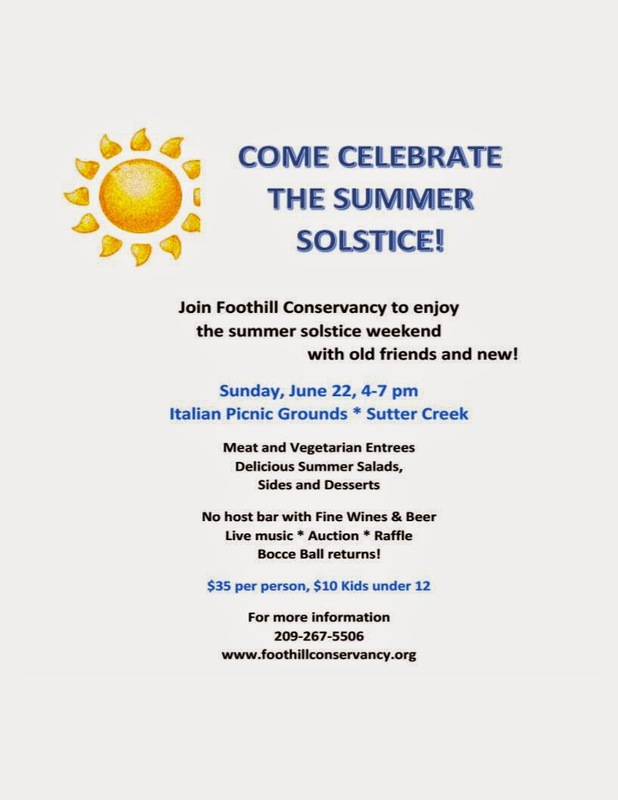 Come celebrate the summer solstice weekend with Foothill Conservancy staff, members and friends at our annual fundraising dinner Sunday, June 22, at the Italian Picnic Grounds in Sutter Creek. Festivities begin at 4 p.m. and include wonderful food, fine local wines and California-brewed beers. Come meet and chat with old friends and new. Listen to lively music by Herb Boxhorn & Klaudia Promessi and play bocce ball in-between bidding on some amazing auction items. Tickets are $35 for adults, $10 for children under 12. The meal will include Teriyaki chicken, pesto pasta, sautéed vegetables, cool summer salads, garlic bread and yummy desserts. Beverages will include delicious Terre Rouge and Easton wines and refreshing Lagunitas beers. Raffle and auction prizes include a week’s stay in a private furnished home near South Lake Tahoe, exceptional Amador wines, a stay at a local B&B, a grove of oak trees, Dr. Bob Hartmann’s famous shortbread, gift certificates for local restaurants and professional services, art work and much more. Buy your tickets now and bring your friends to this fun event. 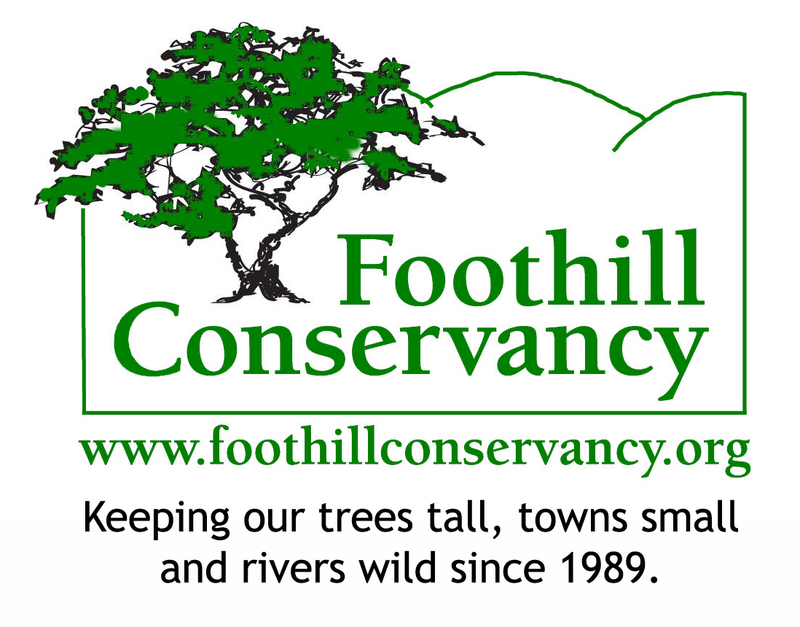 Proceeds benefit the Foothill Conservancy’s efforts to keep our towns small, trees tall and rivers wild. 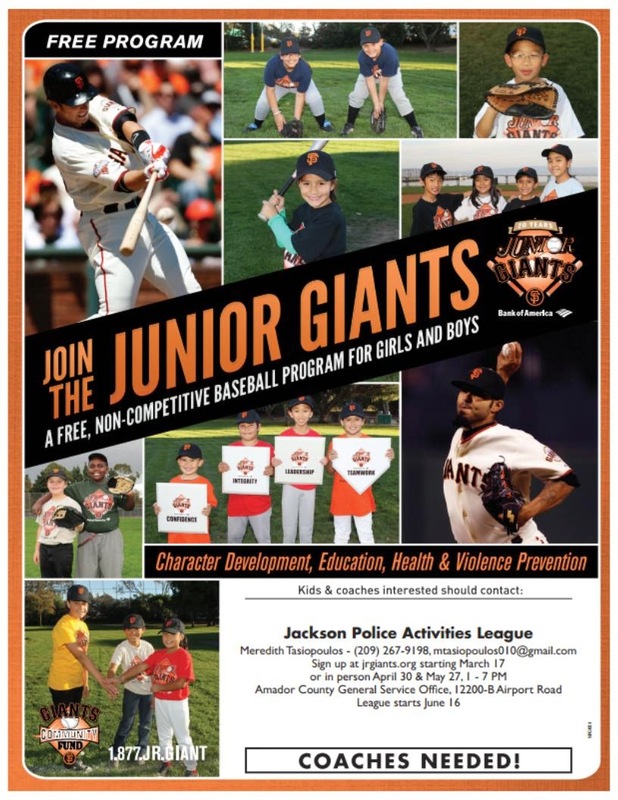 AMADOR COUNTY, CALIFORNIA– The Jackson Police Department is gearing up for the return of our countywide Jackson Police Activities League Summer Baseball Program, Junior Giants. The program is an official departmental program of the Jackson Police Department organized by the Jackson Police Activities League Program (JPAL). JPAL Baseball is open to boys and girls between the ages of five and eighteen. There are no sign-up fees and no insurance or equipment cost for players. This is a non-competitive league where all kids play and scores are not kept. Player registration forms are available online at https://jackson-pal.sportssignup.com/. Registration night will be Tuesday, May 27, 2014 from 1 p.m. to 7 p.m. at 12200-B Airport Rd., Jackson. A player orientation will be held on Wednesday, June 11th at the Generation Life Church in Sutter Hill beginning at 6 p.m.
League play begins June 16th and ends on August 9th. Practices will be held on Monday thru Thursday nights starting at 6:00 p.m. and go until 8 p.m. at the John Aime field in Detert Park in Jackson and various other fields in Jackson and Sutter Creek. Junior Giants goes beyond just playing the game. The focus of this program is to teach kids leadership, confidence, teamwork and integrity. Another element is the “Round the Bases” summer reading program that rewards players who read throughout the duration of the season. This is a team related summer reading program, where team members that complete each reading requirement are given fun prizes for their achievement. If the whole team completes their requirements, then they get to play baseball at AT&T Park on the Giants Field. This gives children an incentive to read and encourages teamwork to reach the final goal. The Jackson Police Activities League is a recreation oriented juvenile crime prevention program that relies heavily on athletics and recreational activities to tighten the bond between police officers and kids in the community. For more information about JPAL Baseball please contact Meredith Tasiopoulos, league coordinator Generation Life Church 267-9198 ext. 27 or the Jackson Police Department: 209-223-1771. 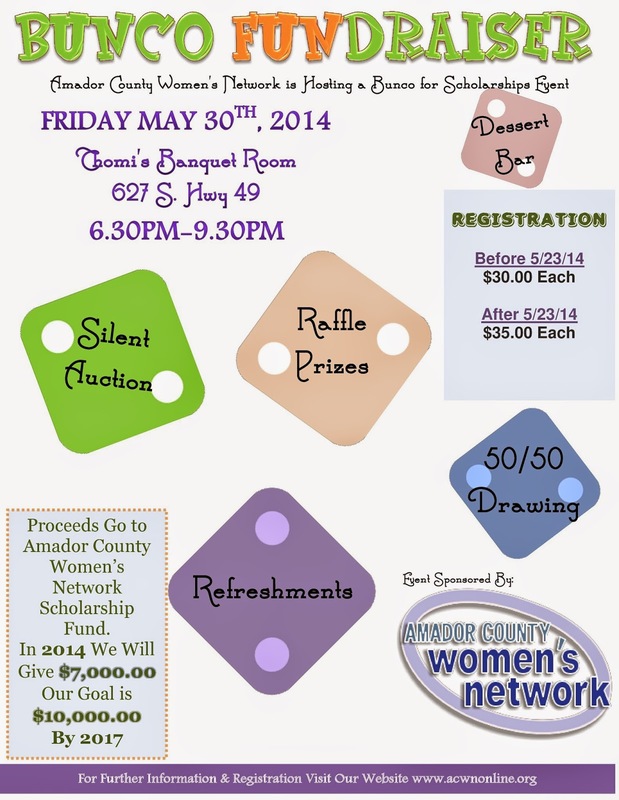 Why: We are granting $7,000.00 to graduating girls this school year 2013/2014. 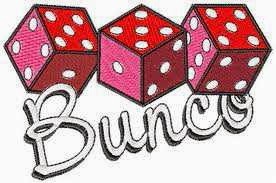 We would like to make our Scholarships be $10,000.00 and need your help! 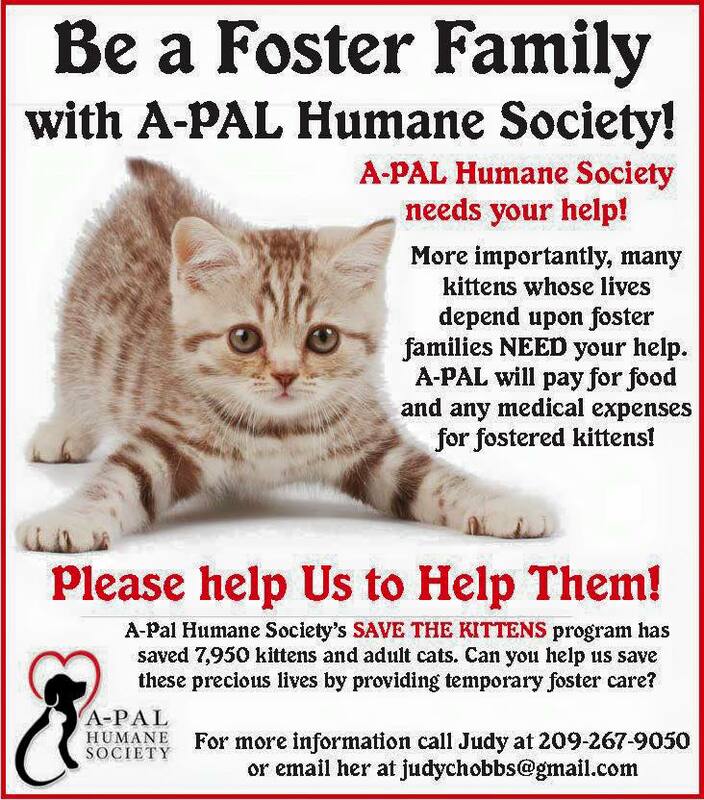 Register by using this Paypal Link "Pay by PayPal" or by Sending a check to P.O. Box 1513 Jackson, CA 95642. Mens Gifts: Golf themed, Bar themed, Outdoor themed. JACKSON – Hospice of Amador & Calaveras is pleased to announce a new Giving Opportunity now available through The Amador Community Foundation. For everyone interested in supporting the hospice mission of providing high quality end-of-life care to everyone who needs it regardless of their ability to pay, this new Agency Fund is a great way to do just that! Hospice of Amador & Calaveras is the only community-based, non-profit hospice agency trusted by physicians, patients and families for over 30 years in Amador and Calaveras Counties. “Thanks to private donations, the fund provides a convenient opportunity for hospice supporters to leave their own living legacy ensuring our hospice services will be available for many generations to come,” says Dan Riordan, Hospice of Amador & Calaveras Executive Director. “We are very grateful to the continued generosity we’ve been shown over the years and we are seeing the benefits to our patients and families each and every day,” adds Dan. Since 1999, The Amador Community Foundation has been improving the quality of life for the citizens of Amador County, and their succeeding generations by receiving gifts from people who care and investing those gifts back into the community. The Foundation helps agencies like Hospice meet their financial and charitable goals by connecting local generosity with a very deserving local non-profit! The Amador Community Foundation understands the residents of Amador County care deeply about their community and its future by turning one’s compassion into one’s legacy. To get started supporting Hospice of Amador & Calaveras’ new agency fund and leaving your legacy, call The Amador Community Foundation at 209.223.2148 to make a difference now. To learn more about how Hospice of Amador & Calaveras might help you or your loved one please call at 209-223-5500. Lockwood Fire Protection District has two openings on the Board of Directors. This is a volunteer position. The board meets on the fourth Monday of each month at Station #1. The work of the board is delegated to various standing committees; Auxiliary, Fiscal and Planning, Fire Codes and Safety, Communications and Public Outreach, and Operations Policies and Procedures. Candidate must be a resident of the district and a registered voter. If you are interested in joining the board please contact the board president Jean-Paul Soares 209-296-7973 for more information. 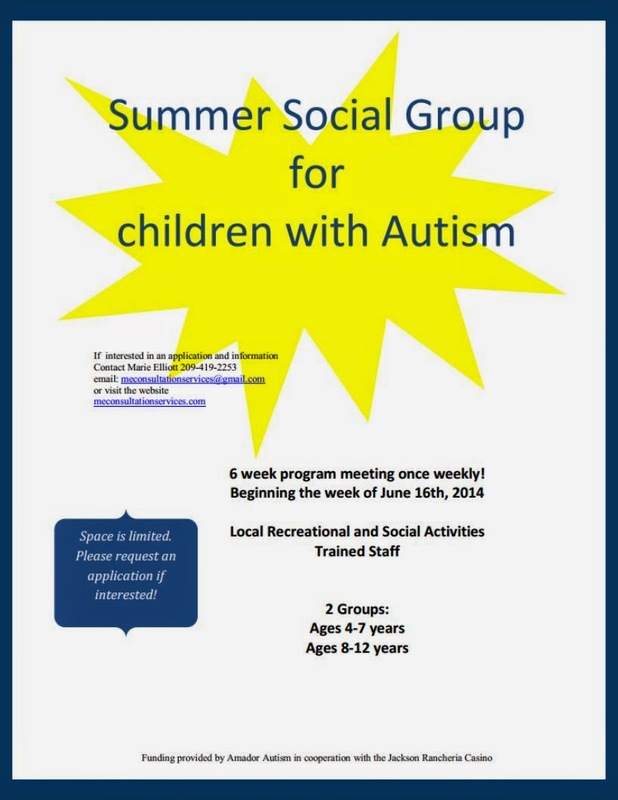 The public is also invited to participate in committee work and no prior experience is necessary. Lockwood Fire Protection District has an opening for the position of Secretary. The secretary position includes taking minutes of the regular and special meetings, preparing the agenda with the assistance of the board president, and maintaining the records of the board’s actions. There is a modest stipend included of $100 every three months. If you are interested or would like more information concerning this position please contact the board president Jean-Paul Soares at 209-296-7973.